Henry Cavill�s cryptic response to rumours he�s hung up his Superman cape has prompted fan reactions ranging from �I am so confused� to �don�t leave us�. His Instagram video sees him stare into the camera, slowly lifting and then lowering a boxed Superman doll, while The Blue Danube � which features barking dogs � plays in the background. It follows The Hollywood Reporter saying the British actor is �parting ways with Warner Bros�. �While no decisions have been made regarding any upcoming Superman films, we�ve always had great respect for and a great relationship with Henry Cavill, and that remains unchanged,� they said in a statement to CNN. Anna Smith, film critic and president of the Critics� Circle, told the BBC that if the speculation about Cavill leaving the role is true, she�d �love to imagine it�s because he is preparing take on the role of James Bond�. However, the actor�s manager Dany Garcia suggested those reports may be premature, urging fans to �be peaceful, the cape is still in his closet�. One called the speculation �a ridiculous rumour�, with other comments such as �hope to God you�re staying on as Superman, if not be the next Bond. Ur amazing actor�. The BBC has asked Warners and Cavill�s representatives for comment. IGN Entertainment�s senior editor Scott Collura wrote that �it�s insane, if not surprising, that Warner Bros doesn�t have a Superman any more�. He said Warner Bros �don�t know what to do with the Man of Steel�. �With Cavill apparently out, and [Batman actor] Ben Affleck rumoured to also be ready to hang up the cape and cowl, Warners and the folks behind the DC films are presented with an opportunity to soft-reboot the series,� he added. 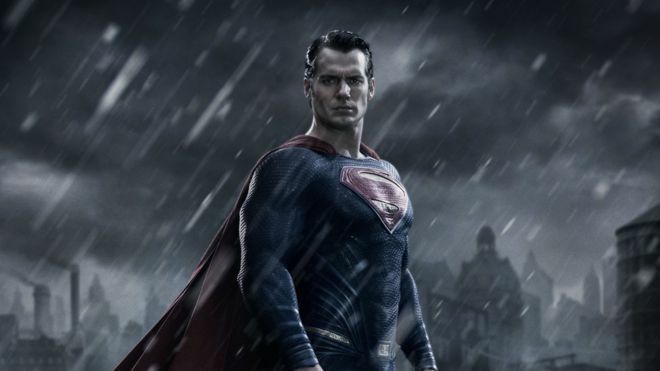 Cavill�s Man of Steel �did good blockbuster business� in 2013 but �studio expectations were higher�, according to Forbes. Things didn�t improve with 2016�s Batman V Superman: Dawn of Justice, which got a mixed critical response and was seen as �relentlessly bleak� as well as a financial disappointment, according to Deadline Hollywood. Roll on to 2017�s Justice League, powered by a DC Comics superhero team seeking some of the huge popularity of the Avengers ensemble films. But Justice League, with a cast including Cavill, Affleck and Gal Gadot, was an �undeniable failure� according to Forbes, because it �didn�t recoup its costs�. Anna Smith adds: �In recent years, DC has found it hard to compete with the might of the Marvel movies � the Avengers gang are much sunnier and teen-friendly, while the Superman films have struggled to find the right balance between deliciously dark and downright sombre. Deadline is reporting that this could be a chance to shift DC�s focus to Supergirl, as well as continuing to ride the success of Gadot as Wonder Woman, with its upcoming sequel set in 1984 (look out for those flicked hairdos). Another forthcoming film out of the DC stable will be Aquaman, starring Game of Thrones� Jason Momoa as Arthur Curry, who learns he�s the heir to the underwater kingdom of Atlantis.